To mark National Aboriginal History Month this June, Historicist will focus on aboriginal issues throughout Toronto’s history. This is the first of that series. 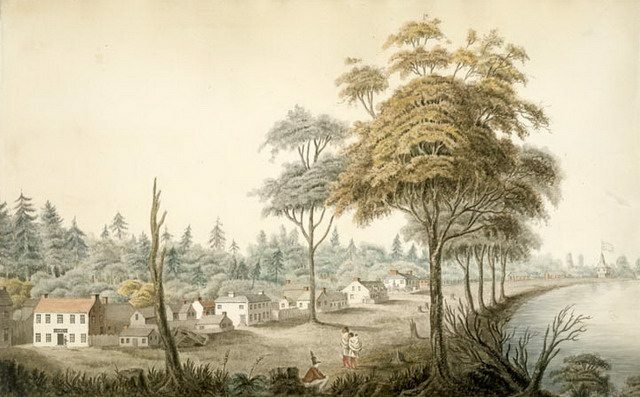 Detail from watercolour of York, Upper Canada (1804) by Elizabeth Frances Hale. From the Library and Archives Canada (1970-188-2092). In war and peace, Wabakinine, head chief of the Mississaugas who made their home on the north shore of Lake Ontario, was a strong friend and ally of the British in the late 18th century. Respected as a warrior, he’d assisted the British effort during the American Revolution by participating in raiding parties. And when the British desperately needed land on which Loyalist refugees from that conflict could settle, Wabakinine was among the Mississauga chiefs who negotiated conciliatory terms with the Crown, offering the newcomers a place to make a home in exchange for gifts of goods in a series of land agreements in the 1780s and 1790s. But, as historian Donald B. Smith writes, “the most important event in Wabakinine’s life was his death.” He was murdered in York in 1796 at the hands of a British soldier who was trying to assault the chief’s sister. The murder of such a widely respected leader shocked the First Nations of the colony, touching off a local crisis as the underlying tension between the Mississaugas and the settlers reached a boiling point. As the colonial government scrambled to respond appropriately, the Mississaugas considered an armed uprising against the minuscule British military force then present in the colony. The chief’s murder ultimately changed the once-trusting relationship between the Mississaugas and the Crown, affecting how the First Nations negotiated land surrenders in the years that followed. York as it appeared in 1793 from the mouth of the Don River, looking west, by Sir E.W. Grier in late 1800s, from a picture by Elizabeth Simcoe (1790s). From the Toronto Public Library Digital Collection. From the 1690s, when they swept south from Lake Superior and Lake Huron and expelled the Iroquois from the northern shore of Lake Ontario, the Anishinabeg established themselves as the dominant presence in the region for the next century. Calling themselves Anishinabeg, meaning “human beings,” they came to be known as Ojibwa or Mississauga by the Europeans occupying the few scattered outposts around the Great Lakes. Through the seasons and through the years, the pattern of pre-settler life remained much the same for the Mississaugas. They lived in small family groups during the winter at hunting grounds in the interior, at the headwaters of Cobechenonk (Humber River), Missinnihe (Credit River), Adoopekog (Etobicoke Creek), Wonscotonach (Don River), and other waterways along 500 kilometres of Lake Ontario shoreline. In early spring, they gathered at sugar bushes. Then families travelled south by foot or by canoe, forming larger encampments near the mouths of these same rivers and creeks. The Mississaugas spent the summer spearing fish, and, before returning to the interior hunting grounds in the autumn, harvested corn they’d grown on river flats. They traded first with the French. Then, with the British, a trading partnership grew into military alliance during the American Revolution. In exchange, the British offered gifts of tools, clothing, and weapons—ironically increasing the First Nations’ dependence on European trade goods. 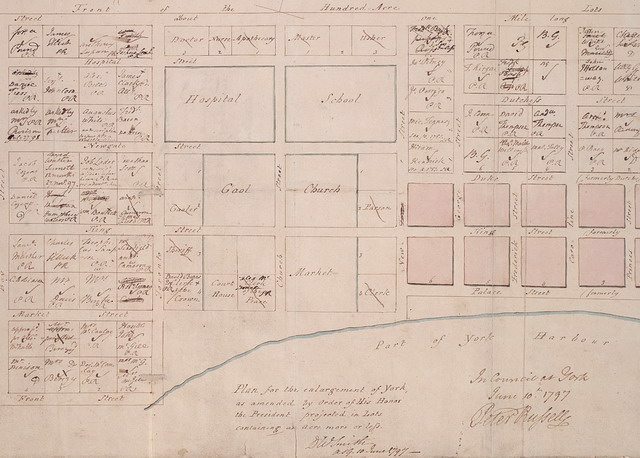 As the first Loyalist refugees began to trickle north from the newly independent United States, the British began purchasing tracts of land for the settlers to inhabit. Only the Crown, not individual settlers, could acquire Indian lands, according to the Royal Proclamation of 1763, which recognized First Nations’ historic title to their traditional territories. The vast but thinly populated territory along the north shore of Lake Ontario controlled by the Mississaugas was particularly attractive. And, at a series of treaty councils with the Mississaugas in the 1780s and 1790s, the British acquired a corridor along the Niagara River and eventually the entire peninsula, and tracts north of and inland from the Bay of Quinte. 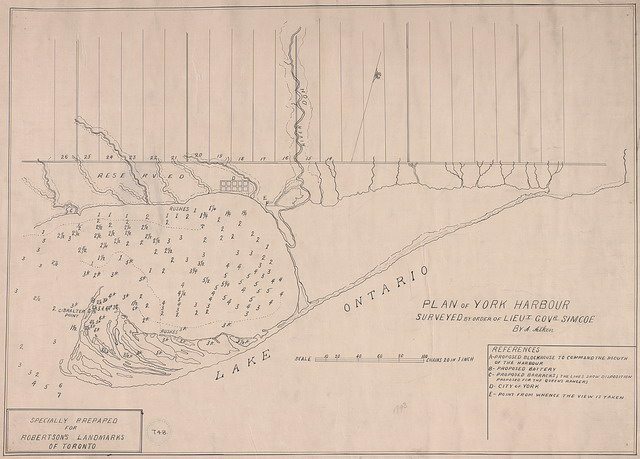 In the Toronto Purchase of September 1787, the British secured the lakefront from Etobicoke Creek to just east of the Don River, and as far inland as a man could walk in a day. Initially feeling these agreements had been mutually beneficial, cementing friendship with a powerful ally, the Mississaugas were amenable whenever the British made requests for further concessions. The British, however, proved to be sloppy record-keepers, leaving details agreed upon in person off the written documents, and, in some cases, losing entire signed agreements. The Toronto Purchase had to be reaffirmed with a subsequent agreement nearly a decade later because the Crown had failed to include a specific description of the land being purchased in the original document. The Mississaugas, none of whom spoke or read English, didn’t realize this at the time. The Mississaugas’ concept of land use, which saw land only as a community resource, ran counter to the British negotiators’ intent for absolute ownership. According to Mississauga custom, while a family might use a fishing spot or hunting ground—even exclusively—for a time, if the family stopped using it, the site returned to the communal ownership of the band. The Mississaugas therefore understood the gifts, to be given annually “as long as the sun shall shine, the waters flow, and grasses grow,” as one 19th-century chief recalled his ancestors telling him, were seen as rental payments for the British use of the land—as tenants—not for transfer of ownership. 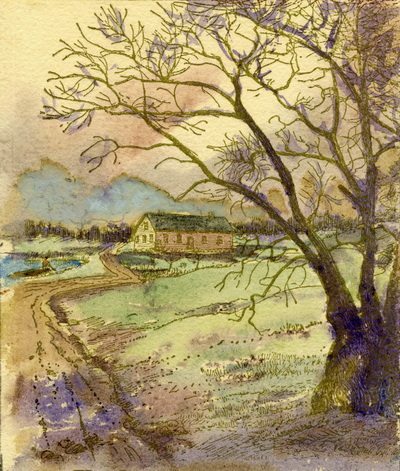 Watercolour of York Harbour, ca. 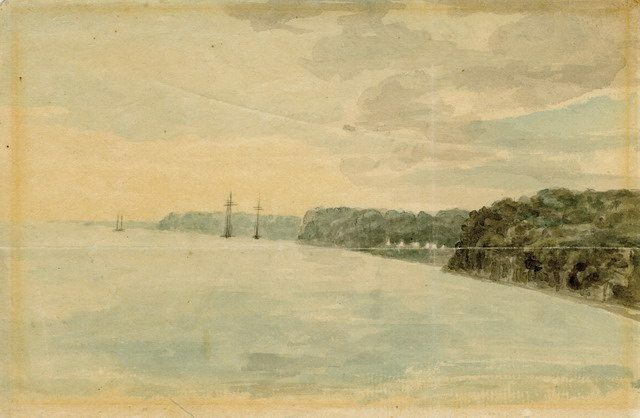 1793, looking west from mouth of the Don River, by Elizabeth Simcoe. From the Toronto Public Library Digital Collection. Imagining the newcomers would establish a few settlements on their sparsely populated territory, the Mississaugas could little fathom the coming onslaught of Euro-American settlers—first Loyalist refugees, then others following in their wake, attracted by free land. By the 1790s, the newcomers outnumbered the Mississaugas by a significant margin. The vast majority settled not in villages, but on farms. And the Mississaugas’ relationship with the settlers was an uneasy one, rife with misunderstanding on both sides. The Mississaugas watched in horror as the settlers cut trees and burned stumps and brush to clear their lots. Believing all animals, trees, and stones to be “endowed with immortal spirits, and that they possess super-natural power to punish any who may dare to despise or make any unnecessary waste of them,” as Peter Jones put it, the Mississaugas had rarely cut down living trees “from the idea that it puts them to pain.” Moreover, clearing the forest disturbed animal habitat. And settlers competed for the increasingly scarce game that remained. Mississaugas who tried to traverse the newcomers’ lots—as they understood the agreements to allow—were barred by newly built fences and intimidated by rifle-wielding settlers. The once-abundant salmon was poached by settlers, and the rivers and creeks themselves polluted with washing soap and sawdust. Finally, Mississauga grave sites were regularly ransacked by souvenir hunters. The government eventually passed a Proclamation to Protect the Fishing Rights and the Burying Grounds of the Mississaugas in the late 1790s, though it proved ineffectual. Many newcomers, caring little of the history between the Crown and the Mississaugas as military allies and commercial partners, had a low opinion of their First Nations neighbours. Without seeking to understand or sympathize with the challenges of a hunter-gatherer economy, many questioned why the Mississaugas required many square miles of wilderness to support themselves while they, as farmers, required only a few acres. The criticism implied laziness. Elizabeth Simcoe’s prejudiced characterization of the Mississaugas as an “idle, drunken, dirty tribe” was far from an isolated opinion. They saw the First Nations as impediments to the colony’s settlement and economic development. Plan of York Harbour surveyed by Alexander Aitken in 1793. Copy created for Robertson’s Landmarks of Toronto. From the Toronto Public Library Digital Collection. With the depletion of game stocks and the fishery, the Mississaugas’ hunter-gatherer economy collapsed, and their dependence on the government’s annual gifts increased. They had had occasional access to alcohol for as long as they’d been trading with Europeans. By the late 18th century, some Mississauga leaders recognized that, by spending more time at the lakefront and less time in the isolated interior, ready access to alcohol was having a devastating impact on their communities—whose diet had not traditionally included fermented beverages. Alcohol dependence, historian Donald B. Smith argues, contributed to further impoverishment, “serious malnutrition…apathy, depression and an inability to hunt and fish.” Moreover, the Mississaugas along the lakeshore, living in closest proximity to Euro-American newcomers but without immunity to smallpox and measles, were devastated by wave after wave of infectious disease. From the late 1780s to the 1820s, this Mississauga population was cut in half. In some cases, their discontent and resentment toward unhelpful settlers took a more confrontational form. 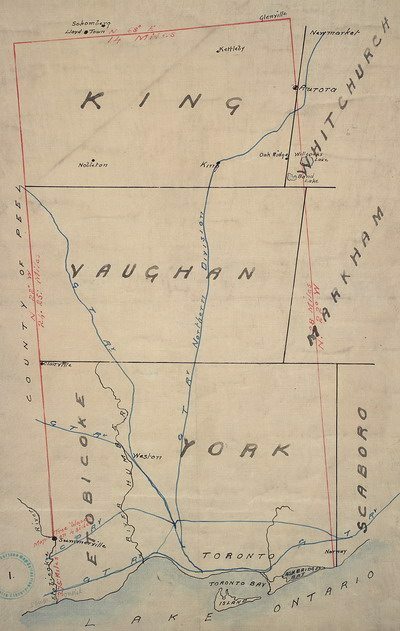 There were numerous instances, in the 1790s, of individuals or small groups disrupting surveying parties, and at least one case of a farm north of York being ransacked by three Mississaugas. An already uneasy relationship between Indian and settler was growing tense by the mid-1790s. Wabakinine (sometimes spelled with slight variations) was head chief of the Credit River Mississaugas. Described as being “of greater size than common men,” he had been a warrior, participating in raiding parties against the Americans during the Revolution. Travelling to Detroit, Niagara, and Michilimackinac to muster First Nations military support for the British in that conflict, Wabakinine had bolstered his status as a respected leader among the Mississaugas and an important ally of the British. By the 1790s, he had become a peacemaker, solidifying the Mississaugas’ relationship with the Crown as a signatory to a number of land cessation agreements in the 1780s and 1790s, including the Toronto Purchase in 1787. As the foremost Mississauga chief on the southwestern end of Lake Ontario, Wabakinine led his people, not through forcefulness, but by pursuing consensus within his community. As a result, he was, one colonial official noted, “greatly beloved” by his people. Wabakinine and his band came to York on August 20, 1796 to sell salmon. At towns and villages in Upper Canada, local First Nations kept the townspeople well-supplied with fish and game at rock-bottom prices. Isaac Weld, a visitor to the colony in 1796, recalled feasting on a very large haunch of venison and a 15-pound salmon his host in Kingston had procured from a First Nations trader for a bottle of rum and a loaf of bread—worth together less than a half-dollar but entirely satisfactory to the trader. Detail from plan for the enlargement of York (1797) by Sir David William Smith, showing the market block. From the Toronto Public Library Digital Collection. After concluding their day’s business at the area around present-day St. Lawrence Market—which, even before the first market building was built in 1803, was the scene of York’s local market activity—Wabakinine and his people turned to drinking heavily. Eventually they retired to sleep: Wabakinine, his wife, and his sister, camped on the waterfront, across from Berry’s Tavern, just east of the market block, and the remainder of the band some distance away, on the peninsula which eventually evolved into the Toronto Islands. Just before midnight a Queen’s Ranger, Charles McEwan (sometimes spelled McCuen), approached Wabakinine’s encampment. At some point that evening, McEwan had given Wabakinine’s sister a dollar and some rum to “induce her to grant him certain favours.” He arrived with two compatriots to complete his transaction. Wabakinine’s wife awoke to spy the soldier dragging the chief’s sister from the canoe she had been sleeping under. Fearing her sister-in-law’s life, she roused her sleeping husband. Half-drunk and still half-asleep, the well-built chief staggered in the darkness toward the white men. In the ensuing scuffle, McEwan picked up a rock and struck Wabakinine on the head, then kicked him in the chest when he fell to the ground. As the chief lay dazed on the ground, the soldier physically assaulted Wabakinine’s wife. The rest of the band heard the women’s cries and rushed to the scene, but by the time they arrived from the peninsula, McEwan and his companions had departed. They collected the women and carried Wabakinine back to their encampment. On the trip home to the Credit River the next morning, Wabakinine died of his injuries, as did his widow shortly afterward. The Mississaugas buried them promptly and without their bodies having been seen by any colonial authorities. He announced that the alleged perpetrator had been arrested, but that the ship carrying the prisoner to trial at Niagara had been blown to Kingston “by the violence of the wind.” Poor weather was no doubt a risk of lake travel, but it seems unlikely a gale would’ve required sheltering at Kingston—roughly 200 kilometres in the opposite direction—when there were several safe harbours or coves along the coast. There’s a real possibility, O’Brien speculates, that had fear of a First Nations uprising not forced their hand, the British had intended to spirit McEwan safely out of Upper Canada. I cannot, however, shake off my apprehensions that some unfortunate family may yet, notwithstanding fall a sacrifice to their resentment, for Wabikanyn had many relations among the Chippewas and Lake Indians, and was greatly beloved by them, especially as they are not insensible of our present incapacity to punish them to any effect—for they mentioned this to Mr. Jones and proposed to him to join them should they prevail upon the Lake Indians to join them in revenging the many injuries they had received from us in this and other instances they enumerated. It’s clear that the Mississaugas, with several hundred warriors and the possibility of alliance bringing 400 more from Six Nations, recognized that the colony was vulnerable with a mere 135 men in the garrison at York and 25 more at Niagara. Moreover, the settler population was spread thinly. Of 675 settlers in York and area, the greater majority by far lived on farms scattered across the surrounding townships, making the district a challenge to defend. 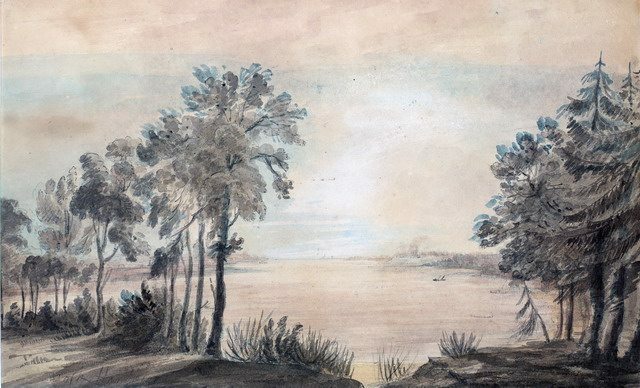 Watercolour of York, looking west to the Queen’s Rangers camp at foot of Bathurst Street, by Elizabeth Simcoe (July 30, 1793). From the Toronto Public Library Digital Collection. In Upper Canada, the application of justice was relatively simple in the case of a white killing a white: he was tried and, if guilty, hanged. But when First Nations were involved—either native killing native, native killing white, or white killing native—the administration of justice was decidedly less predictable. Colonial authorities, Brendan O’Brien writes in Speedy Justice (Osgoode Society, 1992), were unclear whether British justice even applied: whether First Nations should see justice through British courts or according to their own customs, or whether bands were required by treaty to surrender their members to stand trial. In at least one case, in 1795, the government took no action whatsoever against a Mohawk accused of murder because the Crown did not want to disrupt its strategic relationship with his father, a very prominent chief. 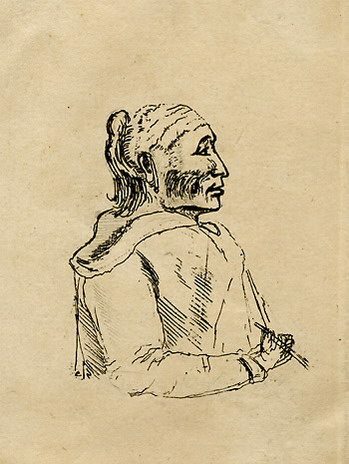 McEwan faced a grand jury in mid-December, the Upper Canada Gazette reported, but was promptly discharged as a result of “it not having been proven that the Chief with whose murder he was charged is dead.” No authorities had seen Wabakinine’s body, which the Mississaugas had buried soon after his death. And the Mississaugas themselves, though summoned, didn’t appear in court to give evidence. Inexplicably, the prosecutor didn’t seek an adjournment to secure witnesses who could confirm the chief’s death—prompting O’Brien to suppose wryly “that if Peter Russell had been the victim, the crown prosecutor…would somehow have managed to prove that Russell was truly dead.” The legal historian argues that the British made no real effort to convict McEwan, hinting that there’d been earlier instances where the British plied First Nations with alcohol to distract them from appearing in court. Other historians suggest the Mississaugas chose not to testify for their own reasons, or because they didn’t understand English law. Senior British officials were astonished and disturbed by outcome of the legal proceedings, and expressed regret in private correspondence. Nevertheless, McEwan’s discharge contributed to the deepening sense of resentment among the Mississaugas. 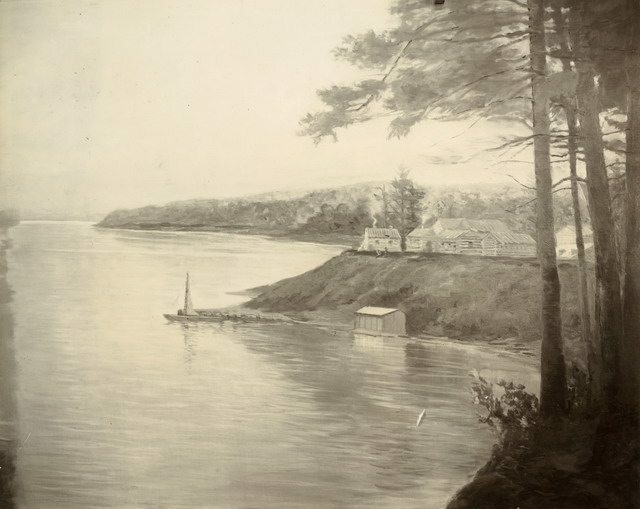 For the two years following Wabakinine’s murder, settlers near York were fearful of a Mississauga attack—assisted, rumours claimed, by French and Spanish agents. To the casual observer, the Mississaugas appeared to be preparing for uprising, pulling in allies from far afield. Oil painting of the Garrison (1793-1813) at the foot of Bathurst Street by Owen Staples (1907) after a sketch by Elizabeth Simcoe (ca. 1796). From the Toronto Public Library Digital Collection. In mid-February 1797, Nimquasim, a prominent Ojibwa chief from the Lake Huron area, met with several Mississaugas at Berry’s Tavern in York. Nimquasim pulled Augustus Jones into the conversation and, his words loosened by drink, told him “that upon the whole it was his wish to open a war against the English to get satisfaction, for what had been done,” in reference to Wabakinine’s murder. Nimquasim further noted that he had “a great number of young warriors, that he could bring out at his command.” Jones reported the chief’s words to the Surveyor General, his employer, and the news made its way to Russell. The administrator ordered a delegate to “assemble the Inhabitants of the Town of York and advise them to provide themselves immediately with Arms and ammunition for their Mutual Defence,” resulting in a 100-man militia. Russell followed up that spring by requesting that his superiors send 4,000 small arms to Upper Canada. By the fall of 1797, tensions were so high that senior government officials had armed escorts when travelling through the Mississauga Tract, the last unsurrendered Mississauga territory between York and Burlington Bay. In the fall of 1798, Russell requested that the number of troops in Upper Canada be bolstered because “the seat of Government is naked of Defence & open to attack from all Quarters in case of any hostile movement towards it.” Despite some resistance from British authorities, Russell scraped together funds to improve the meagre defences at York, constructing two blockhouses in 1797 and 1798. The British were particularly anxious that the Mississaugas would form a military alliance the Six Nations led by Joseph Brant (Thayendanegea)—whose own relations with colonial authorities were then strained by a protracted dispute over the Six Nations’ right to sell a portion of the Grand River Reserve for profit. The Mississaugas had indeed approached Brant about his warriors joining them in retaliation for Wabakinine’s murder. But Brant, knowing Britain’s true military strength beyond the colony’s borders, dissuaded the Mississaugas from pursuing that course. Instead, the Mississaugas looked to Brant’s political leadership in hopes they too could enjoy the power and respect commanded by the Six Nations. 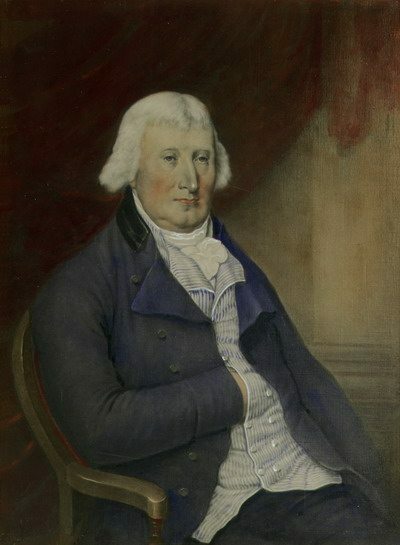 When, in the late 1790s, the British first sought to purchase the strategically important Mississauga Tract, Brant acted as the Mississaugas’ spokesman and negotiator. He had, he said, once promised Wabakinine to be “a guardian of their lands.” Brant was attuned to the true market value of the land the British had been securing for rock-bottom prices. When the Crown offered three pence per acre for the Mississauga Tract, the Mississaugas’ representative countered with three shillings, four pence per acre—more than twelve times the government’s price. 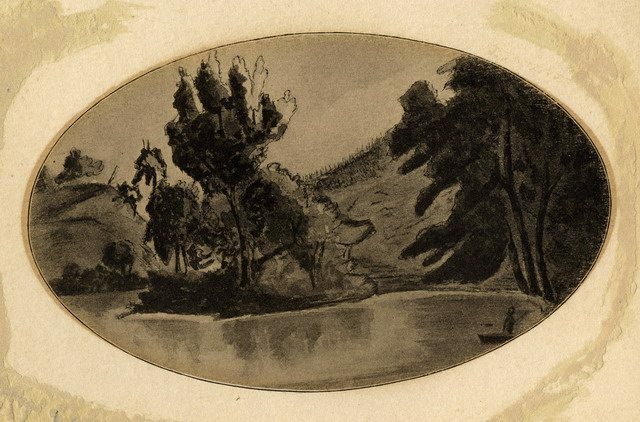 Wash drawing of the Credit River from a drawing by Elizabeth Simcoe in 1796. From the Toronto Public Library Digital Collection. The Mississaugas, in the interest of strengthening friendship, had once been extremely conciliatory in negotiating land surrenders with the British, but Wabakinine’s death marked a turning point in their relationship with the Crown. They no longer trusted British intentions, or that promises made at treaty councils would be fulfilled. Brant was elected a Mississauga chief and, in the late 1790s, there were plans for the Mississaugas and Six Nations to become not just allies but, in effect, one people. Finally, in 1799, a frontiersman acting for the British investigated the rumours of French and Spanish agents in Louisiana stirring up western First Nations to ally with the discontented Mississaugas and Six Nations, and planning an attack on Upper Canada. He confirmed that, despite French and Spanish efforts, neither Brant nor the Mississaugas had any allies beyond Upper Canada’s borders that they could call upon in a fight. Removing the threat of external assistance alleviated worries of an armed Mississaugas uprising, a very real possibility for a few brief years. Moreover, the Indian agents’ efforts had been successful at shattering the alliance between the Six Nations and Mississaugas—arousing old animosities—and colonial authorities likewise undermined Brant’s influence among both groups. On their own, however, the Mississaugas were in no position to confront the British. Devastated by infectious diseases, their numbers had continued to decline, from over 500 in the 1780s to a little over 330 in 1798. Settlers had continued to pour into the Mississaugas’ traditional territory, further depleting the availability of game and fish, and barring the free movement necessary to pursue the earlier seasonal patterns of life. With the collapse of their “fragile hunting and gathering economy,” historian Leo Johnson writes, “Mississauga morale and social life collapsed as well.” The colonial secretary’s aim of “impoverishing the Indians for the new colony had had its inevitable consequence,” Johnson concludes. And it strengthened the Crown’s negotiating position. In August 1805, meeting with British officials at Government House, an inn on the east bank at the mouth of the Credit River, the newer, less experienced Mississauga chiefs endeavoured to negotiate the best terms possible. For £1,000 in goods, the British secured a huge portion of the Mississauga Tract—from the lakeshore to about 10 kilometres inland—between Etobicoke Creek and Burlington Bay, reserving for the Mississaugas one mile on either side of the Credit River, some pockets of land at the mouths of Sixteen Mile Creek, Twelve Mile Creek, as well as control of the salmon fisheries along the same waterways. CORRECTION: JUNE 16, 3:52 PM This article originally described a portrait of Augustus Jones Jr. as a portrait of Augustus Jones Sr. We have removed the image from the article, and would like to thank University of Calgary historian Donald B. Smith for pointing out our error. Sources consulted: Carl Benn, Historic Fort York, 1793-1993 (Dundurn, 1993); Frances Sanderson & Heather Howard-Bobiwash, eds., The Meeting Place Aboriginal Life in Toronto (Native Canadian Centre of Toronto, 1997); Victoria Freeman, “‘Toronto Has No History!’ Indigeneity, Settler Colonialism, and Historical Memory in Canada’s Largest City,” Urban History Review Vol. 38, No. 2 (Spring 2010) and her University of Toronto Ph.D. dissertation; Leo A. Johnson, “The Mississauga-Lake Ontario Land Surrender of 1805,” Ontario History Vol. 83, No. 3 (September 1990); Catherine Murton Stoehr, “Salvation from Empire: the Roots of Anishinabe Christianity in Upper Canada, 1650 – 1840,” Ph.D. Dissertation (Queen’s University, 2008); Brendan O’Brien, Speedy Justice (Osgoode Society, 1992); Roger Reindeau, Mississauga: An Illustrated History (Windsor Publications, 1985); Donald B. Smith, “The Dispossession of the Mississauga Indians…,” Ontario History Vol. 73, No. 2 (1981); Donald B. Smith, Sacred Feathers 2nd Edition (University of Toronto Press, 2013 ); Alan Taylor, The Divided Ground (Alfred A. Knopf, 2006); Isaac Weld, Jr., Travels Through The States of North America and the Provinces of Upper and Lower Canada 4th Edition (1800); and articles in the Globe and Mail (September 22, 1987); and the Star (August 21, 1996).